PHILADELPHIA'S CURRENT HIP HOP ARTIST OF THE YEAR AND ALBUM OF THE YEAR AWARD WINNER DELL-P HAS SOME ISSUES TO ADDRESS. 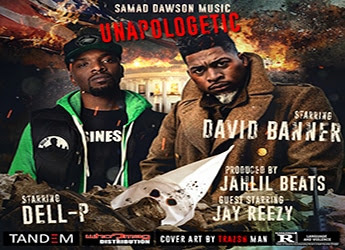 IT WAS ONLY RIGHT TO HAVE THE LEGENDARY HIP HOP ARTIST/ PRODUCER DAVID BANNER AND THE R&B MONSTER JAY REEZY FOR THIS JAHLIL BEATS PRODUCED TRACK...IF THE REVOLUTION HAD AN ANTHEM THIS WOULD BE IT!!! ENJOY!! !